Looking for roofing contractors in Orlando? If you’re in the market for a new roof, or just need a repair on the old one, City Roofing & Remodeling is here to help make the process hassle-free, simple, and transparent. Our specialties include all kinds of residential roofing including STORM DAMAGED ROOFS (Hail and Wind), tile roofs, roof ventilation, skylights, solar panels, and gutters. We know that a new roof is a major investment, and you need your roof to last. To do that, you need roofers with experience, who triple-check their measurements to reduce your materials costs – that’s us! As licensed and insured contractors, the work on your home is done by experienced professionals because we know that a poor installation can mean having to replace or repair your roof long before you should. Need references? Just ask! Or visit us on our Facebook page for pictures of our latest projects. We are proud of our work and love showing it off. At City Roofing & Remodeling, we believe that form and function should go together, so if you’re considering updating the look of your home with a new roof – contact us! We’d love to hear your ideas or contribute some of our own. Need inspiration? Check out our Pinterest board. We have access to any type of shingle you decide to use…like Owens Corning, Certainteed, and GAF products. No matter what look you choose, we’ll be happy to give you advice on the best and most cost-effective way to achieve it. We know that your house is more than just a roof over your head, and we are proud to help make your house into a home. In order to get the right roofing option that fits your home, and more importantly, your budget, let City Roofing and Remodeling help you with this difficult and important process of getting your new roof. 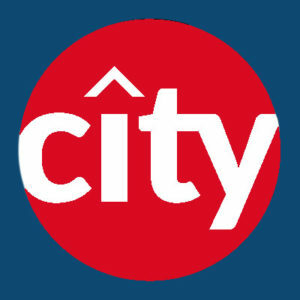 Here at City Roofing and Remodeling, we want you to get the best quality for the best price. We will triple check our measurements to reduce your materials costs. We will provide you with a top quality roofing that is covered under a factory and installation warranty. City Roofing and Remodeling is are contractors that you can trust and feel comfortable with. Our company strives to provide the best residential roofing product available in today’s market. We have access to any type of shingle you decide to use but specialize in Owens Corning, Certainteed, and GAF products. Roof shingles are a covering consisting of individual overlapping elements. These elements are typically flat rectangular shapes laid in rows from the bottom edge of the roof up, with each successive higher row overlapping the joints in the row below. A tile is made of a ceramic material. Higher end homes sport tile roofing because of the aesthetics and the variety of styles available. Not all homes are suited for a tile roofing. We will recommend on our initial consultation if you are interested in switching to a tile roofing. A very durable roofing option, metal roofing is available in several different types of material. Zinc, aluminum and silicon coated steel are the most typical materials used. contat us to learn more about metal roofing options. Slate is a heavy rock material which is used in higher end homes that have already been reinforced to carry the weight of these beautiful but heavy pieces. It is typically dark in tone, varying from gray to bluish to greenish. The roof can be very water resistant and needs less maintenance than other types of roofs. Imagine traditional residential roofing shingles with a smooth, sleek profile that look as beautiful as they are powerful. Rooftop solar solutions with the power of solar technology inside. There are many options to put solar on your roof, from solar panels to solar shingles… allow us to get you ‘green’ and save you money. Today’s generation of solar products are efficient and more affordable than in the past.